Women make up a smaller percentage of Stony Brook undergraduate students than they did a decade ago, despite having higher retention and graduation rates than their male counterparts. In 2007, the ratio of males to females was 49.8 to 50.2, according to a report by the Stony Brook Office of Institutional Research, Planning & Effectiveness (IRPE). Since then, the male population has increased by 1,529 while the female population has increased by 316. This translates to a 53.3 to 46.7 percent male-to-female ratio in Fall 2017. Around 1,200 more women than men applied to Stony Brook for Fall 2016. Both sexes had roughly a 40.7 percent acceptance rate, which meant about 500 more women were admitted than men. Despite that, 229 more men than women enrolled to be full-time students that year, according to data from the Integrated Postsecondary Education Data System, a system of interrelated surveys collected from educational institutions. Charles L. Robbins, vice provost for undergraduate education and dean of the undergraduate colleges, said that there is a team looking into those numbers and the reasons behind them, but it is not clear because other universities with similar profiles to Stony Brook have a higher female enrollment. “It needs to be drilled down and understood better,” Robbins said. While officials did not identify a singular reason for this gap in gender enrollment, they mentioned the prominence of certain programs at Stony Brook as a possible factor. “Stony Brook has a reputation for specializing in STEM fields, and STEM fields are disproportionately male,” Braden Hosch, assistant vice president for institutional research, planning and effectiveness, said. 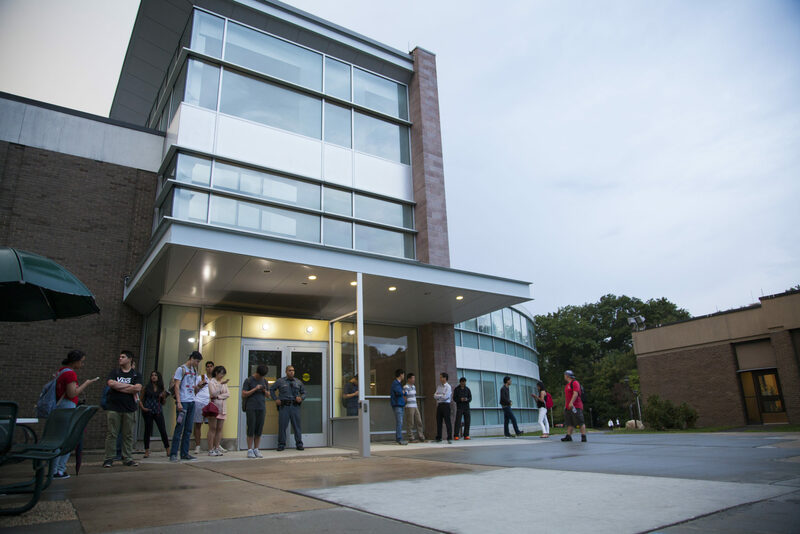 Hosch said that external pressure to go into STEM rather than social sciences has led to a natural increase in enrollment to the College of Engineering and Applied Sciences (CEAS), making it the fastest-growing college at Stony Brook in recent years. This enrollment skews male. As of Fall 2017, the School of Journalism was 56.4 percent female, according to IRPE. The CAS was 51.7 percent female. The School of Business was 41.4 percent female, and CEAS was 22.9 percent female. In an attempt to recruit more women, Stony Brook’s Women in Science and Engineering (WISE) program hosts programs for middle school and high school girls to try to promote and educate more women on the benefits of science and engineering programming. While efforts like this may have increased the number of women who enroll in the CEAS, women are still a minority in the program by far.